He was a baby-faced man with the heart of a thief. We first saw him as one of the guest performers the original Saturday Night Live used to feature doing his combination stand-up & magic act. Then, he essentially played himself on the first season of Cheers (as a lovable street con artist, which Harry admitted to being early in his life). Of course, his Night Court was always one of our favorite sit-coms of the 80s. 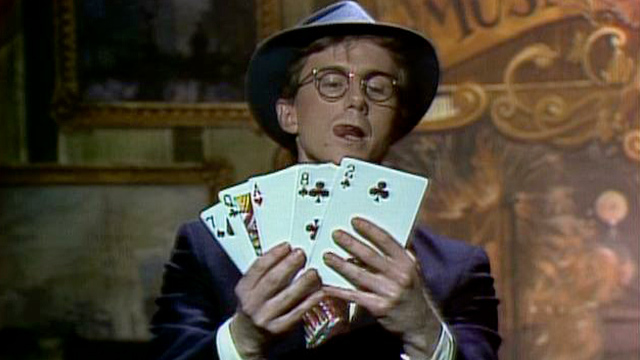 Sadly, Harry Anderson has passed away at the relatively young age of 65. 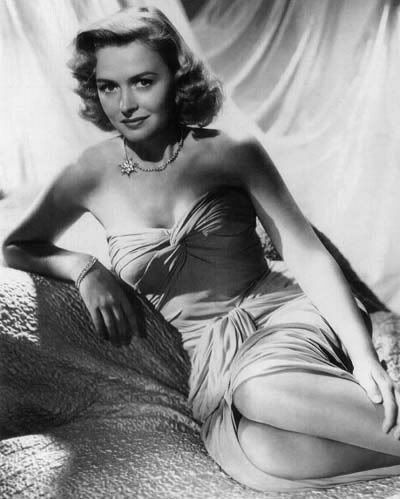 For 8 seasons, The Donna Reed Show provided Baby Boomers with a sort of Mother Knows Best amid a ton of family sitcoms focused on the father. 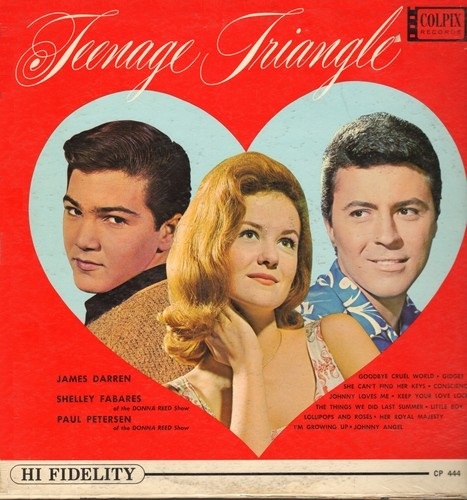 Cast as Donna Stone, Donna presided over a family with the proverbial sweet and lovely oldest daughter, Mary (Shelly Fabres) and mischievous, mildly rebellious son, Jeff (Paul Peterson). 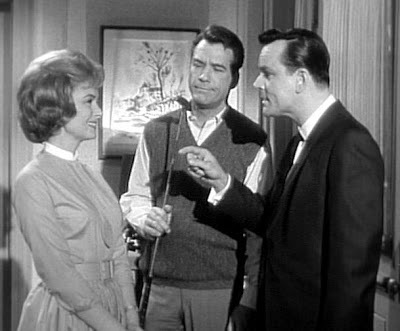 Her TV husband Alex, played by Carl Betz, was a pediatrician who worked out of their home! Can you imagine any pediatrician doing that today? Also, can you imagine any pediatrician living in such modest accommodations? The location for the show was the town of Hilldale. But in what state Hilldale was located was never mentioned. 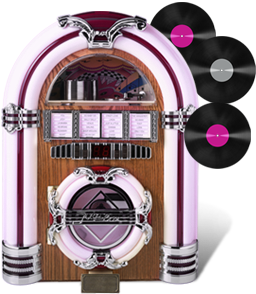 At its peak, the show attempted to duplicate the success Ricky Nelson was having on the pop charts. 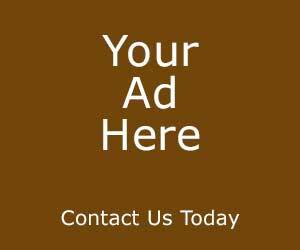 Both Fabres and Peterson did find chart success with “Johnny Angel,” “She Can’t Find Her Keys” and “My Dad.” But neither really built credible singing careers. The show also provided a launch pad for Bob Crane. He was a popular L.A. deejay who wanted an acting career. He was cast as Alex’s doctor buddy, Dave Kelsey. From there, Crane was able to land the title role in Hogan’s Heroes. 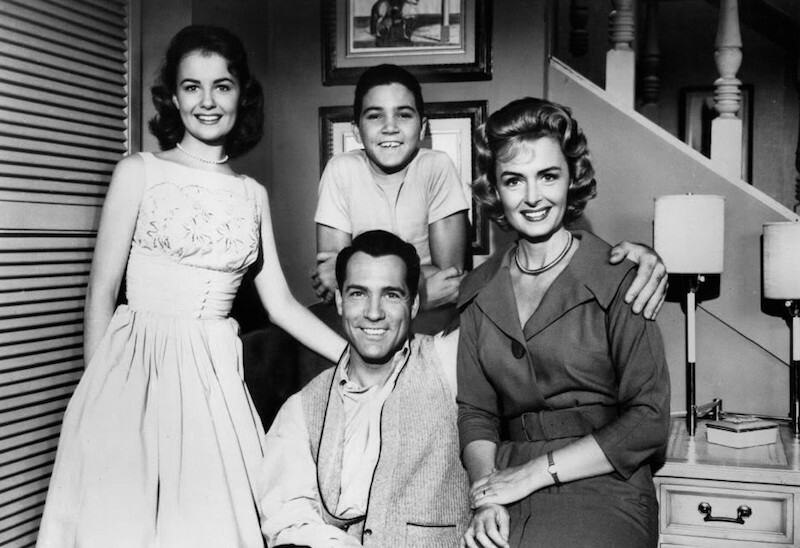 In The Donna Reed Show’s 6th season (1963), the Stones adopted an orphan named Trisha. For an orphan, she bore a strange resemblance to the Stone’s son. That’s because in real life, she was his sister Patty Peterson. Maybe Dr. Stone wasn’t so wholesome after all. 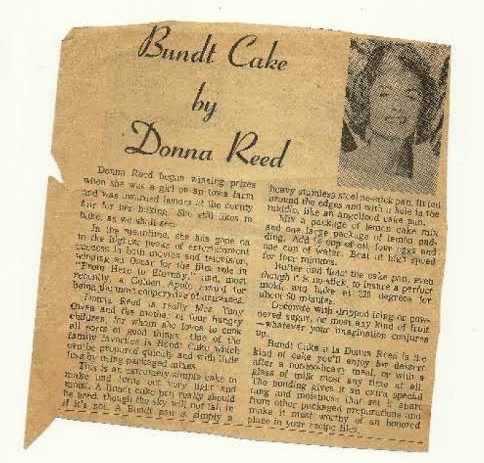 As the 60s wore on, we started wanting our sitcoms with more gimmicks, like witches, genies and flying nuns; so, Donna Reed called it a day in 1966. She was a pin-up during WWII and saved over 300 letters she received from GIs in a shoebox. She once milked a cow on the set of It’s a Wonderful Life to win a bet with Lionel Barrymore. She replaced Barbara Bel Geddes on Dallas & successfully sued the show when Bel Geddes returned and she was fired. When Nickelodeon acquired the reruns rights to The Donna Reed Show, that’s what inspired them to create Nick at Nite! We all remember To Tell the Truth. 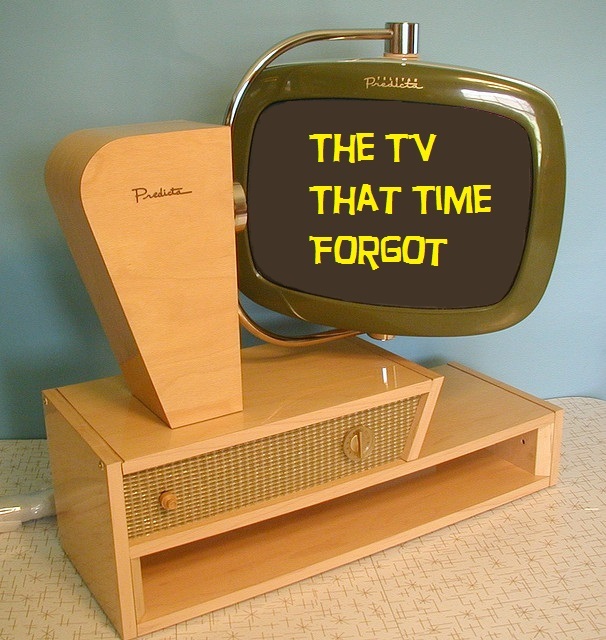 It ran once a week on CBS’s prime-time schedule from 1956 to 1967. A 5-day-a-week daytime version was added in 1962 and ran until 1968. Each episode started with the camera panning across three figures who were shrouded in darkness. The announcer would ask each “What is your name, please.” The lights would come up on each one in turn as they all gave the exact same name. Then host Bud Collyer would read “a signed affidavit” that explained the unusual story of that round’s central character. 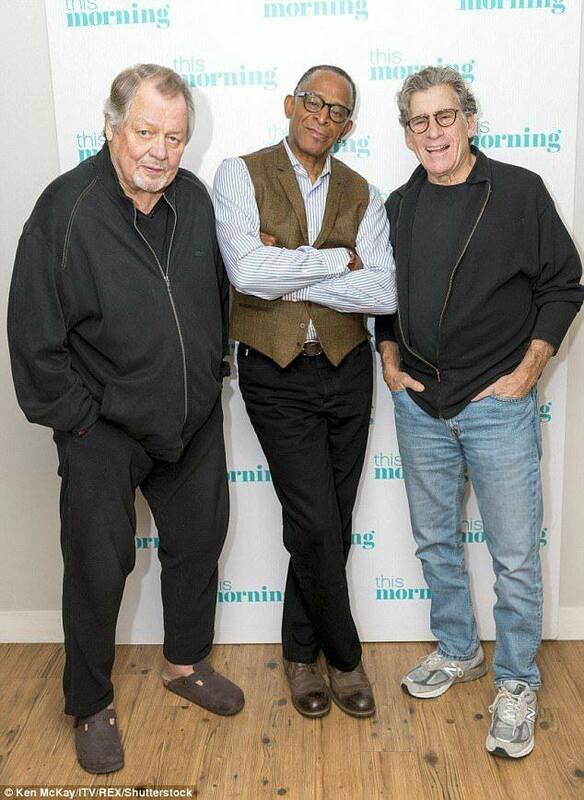 Following that, a celebrity panel of four (usually Tom Poston, Peggy Cass, Orson Bean and Kitty Carlisle) would ask questions, trying to figure out who really gave their true name and which two were imposters. There was some faking out with the contestants until finally, the real person in question would rise to their feet. But “to tell the truth,” there are some things most of us have forgotten or simply never knew about this beloved game show classic. While some of watched The Mickey Mouse Club and focused on Annette, many of us who were a little younger paid attention to the youngest Mousketeers, Karen & Cubbie. Cubbie O’Brien grew up to become an accomplished professional drummer, but whatever happened to Karen Pendleton? Hers is a bittersweet story. Karen did not continue in show business after the Mouse Club show wound down. Instead, she finished school, married lawyer Mike DeLaurer in 1970 and had a daughter in 1973. Then, her life took a downward turn. First, she was in a bad car accident in 1983 that left her paralyzed from the waist down. For a woman who had a passion for dancing, it was a devastating turn of events. That was followed by a divorce in 1985. Instead of retreating from life, Karen made a decision to push forward. She went back to college, completed her Bachelor's degree in psychology and then went on to earn her Master’s degree, one of only two Mousketeers to earn a postgraduate degree. She went into counseling for women, working at women’s shelters and holding classes on single parenting. 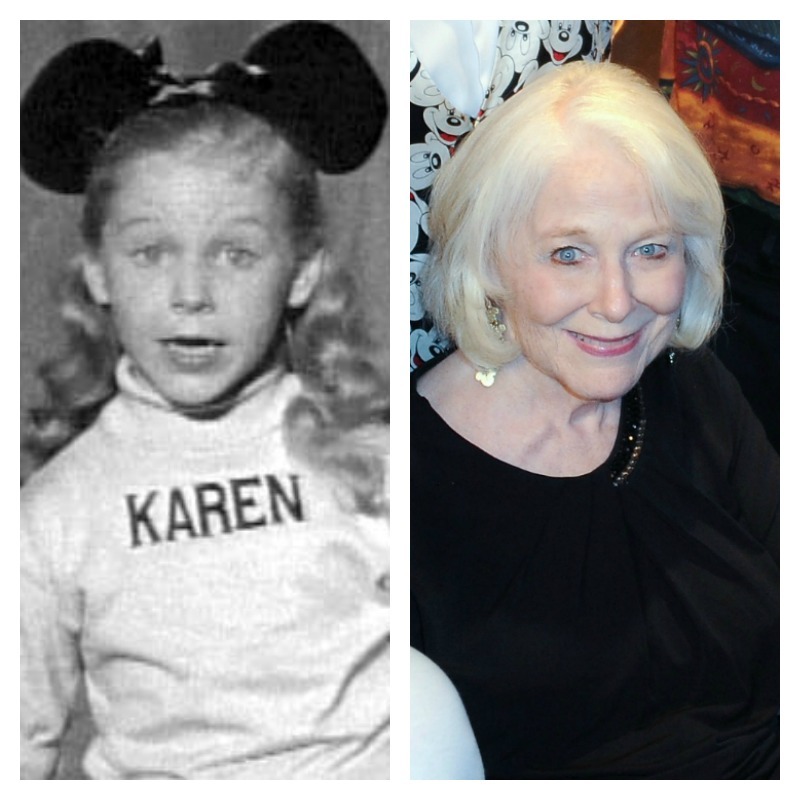 Karen has also appeared in many of the frequent Mousketeer reunion events sponsored by Disney and in 2014 she was given a Disney Legend award.